A proven business and government leader, Dave has a strong desire to ensure conservative principles are applied in City government. He has been influential in providing sound business and proven decision making skills to the council in dealing with notable issues facing Houston today. First elected in November 2012; public safety, fiscal responsibility and economic development have been and will continue to be cornerstone of Dave’s daily priorities. Additionally, he works hard to ensure exemplary constituent service to the residents of District E. During his second term in office, Dave has been appointed to serve as Chair of the Budget and Fiscal Affairs, Chair of the Budget and Fiscal Affairs Subcommittee on Debt Financing and Pensions, and a member of Economic Development; Ethics, Elections and Council Governance; and Transportation, Technology and Infrastructure. 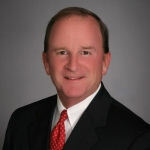 Born in New Orleans, Louisiana and a graduate of Louisiana State University, Dave serves as a Managing Director of Marsh & McLennan Companies, Inc. and previously worked for two large “Big Four” Accounting Firms, PricewaterhouseCoopers, LLP and Ernst & Young, LLP. Dave was elected to the Humble ISD Board of Trustees in 2004 and served as President, Board Finance Committee Chairman and Chairman of the Board Audit Committee. Dave also served as Secretary/Treasurer of the Board of Directors for the Harris County Houston Sports Authority (HCHSA) where he was also Chairman of the Board Finance Committee. While serving in this capacity, Dave helped with Houston’s mission to attract the very best sporting events into our city, bringing economic development while ensuring the debt service payments for Houston’s Sports venues are transacted to protect Houston’s tax dollars. Dave has also been involved with the Greater Houston Partnership where he served on the Education Policy/Strategic Policy Committee. As a member of “Raise your Hand Texas”, an advocacy organization dedicated to supporting Texas Public Schools, Dave has been instrumental in shaping public policy for public education for many years. Dave and his wife Julie have been married for 32 years. They live in Kingwood with their three children, David, Michael and Jennifer. They are active parishioners at St. Martha’s Catholic Church.